Friday time, Blueberry Pie!! 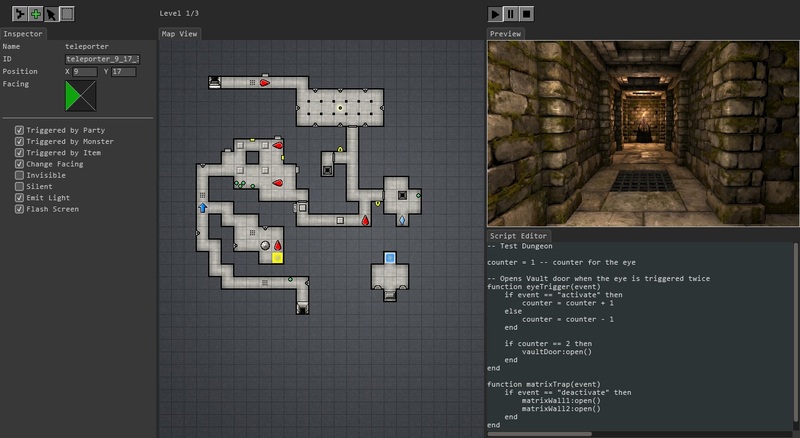 😀 Here is a work-in-progress screen grab from the upcoming Dungeon Editor. The editor is still pretty far from final but we wanted to give this early sneak peak anyway. There is no release date for the editor yet — we don’t want to risk making bad design choices by hurrying. You can follow the progress of the project here. which it doesnt disappoint me just because much as brussels. really thought youd have something interesting to talk about. This site post is first-class, probably because of how well that the subject was developped. have been insufficient to speak on such topics. An additional. am solely on the same page, on the other hand it’s not big of an deal . There is noticeably a bundle to understand about this. I suppose youve made specific nice points in features also. and Iâ€™m actually delighted I found your website. Youre so cool! I dont suppose Ive find out something like this before. subject. realy thank you for starting this up. this website is one thing thats wanted on that the internet, someone with a tiny originality. helpful job for bringing something new to that the internet! my consent concerning. we appreciate you discussing. a lot of online resources in spite of this nothing beats this. this post. Im very glad to see such fantastic information being shared freely out there.